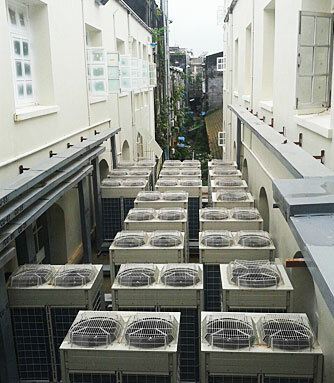 Delivering a full lineup of products and leveraging years of experience in HVAC, freezing, and refrigeration, Daikin offers optimal solutions to users in satisfying a variety of demands from factories, greenhouses, and processing plants to warehouses, distribution centers, and retail stores. Daikin’s refrigeration technology supports constant temperature refrigeration at frozen food plants. Daikin offers suitable equipment for greenhouses in cold areas as well as ideal solutions for pre-cooling chambers and storage warehouses. Various temperatures are required for equipment in retail stores. An integrated system of freezer, refrigerator, and air conditioner for convenience stores saves approx. 50% of consumed power. Daikin offers a reliable solution for distribution centers, where quality control of the products is most important.